The time to cosy up to a warm fire or under a fuzzy blanket is upon us. Yes, winter has made its chilly appearance across South Africa. With winter comes specific changes, from what we eat to what we wear. The evolution of season extends to our wardrobes; out with the shorts and t-shirts, in with the jeans, jumpers and boots. Furthermore, we change what we eat – no more braais and outdoor hangouts but rather potlucks and stews. It is best to limit ourselves to warm beverages and being indoors. Therefore, it’s important to make your home a retreat from the outside world, seeing as you will be spending a lot of time indoors. It is vital that you transition your living room into a winter-friendly space – relaxed and comfortable. Making some alterations to your home decor is imperative; cabin fever can become an issue. Here are our three home décor essentials for winter. Candles have a way of setting the tone. They instantly create a sense of warmth and an open invitation into space. Candles are a décor essential for entertaining guests as well as spending alone time with a good book and a glass of wine. A bonus is to get candles with essential oils in them. This fragrance will lighten the room creating a relaxed atmosphere. Oh yes, and the ambience with wooden shutters is something to experience. Cuddly blankets and furry throws have a way of upgrading your couch like you won’t believe. Similar to fashion – accessories make the most significant difference to staple items, like your couch. Throws are both functional and stylish addition to your home décor. They create warmth in the room and will give you that much needed extra heat on a cold evening while watching a movie. Wooden shutters add to the warmth of any room as they are excellent regulators of temperature. Our wooden shutters really come in handy here. 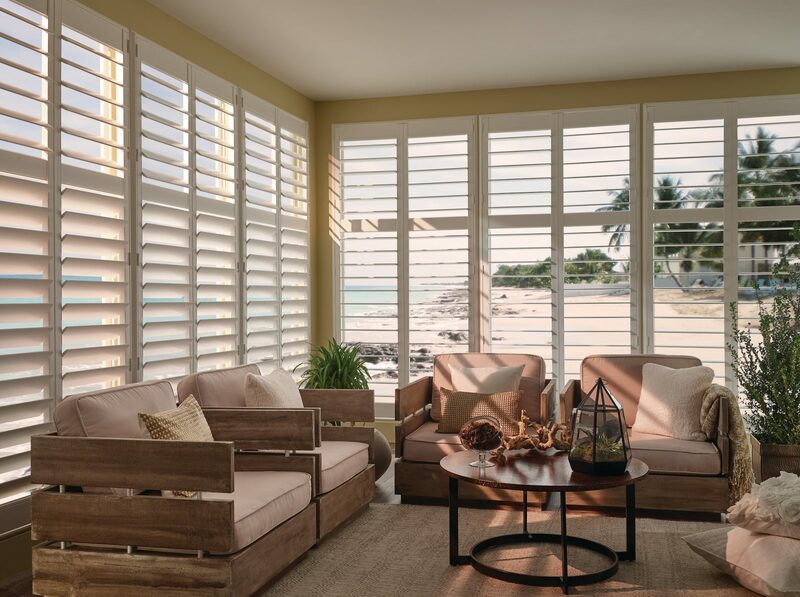 It may be a massive alteration for winter; however wooden shutters are a year-round feature if you are looking to make a big splash to your living room aesthetic. Wooden shutters work well in spaces where you have tiles and metallic elements (such as coffee tables, tv stands etc.) Wooden shutters soften the area and bring some earth tones which is vital to any home. A bonus is that they insulate heat, keeping the room space warm. This way your home décor will incorporate multiple complementary materials. Wooden shutters have a place in most homes. Shutters, in general, are very versatile and we have the installation that will suit your needs.